Johns Hopkins All Children’s Hospital has been hit with yet another lawsuit—this time a wrongful death related to a young woman who passed away after receiving treatment from the pediatric heart center. The procedure was considered low-risk and relatively routine. The woman had been born with a number of congenital heart defects all of which had been managed over the years with surgery. When she went to All Children’s to have an aortic conduit replaced, she ended up dying the next day. She was 26 years old. The lawsuit has been filed by her mother. It names both the hospital and the doctor who performed the procedure. 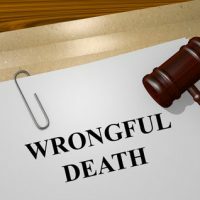 The young woman left behind an infant daughter and a husband, who may both also collect damages under Florida’s wrongful death statute. All Children’s has been the target of a multi-part exposé published by the Tampa Bay Times. According to the story, All Children’s brought in world-renowned Johns Hopkins doctors to increase the hospital’s profile. To that point, All Children’s pediatric heart program was considered one of the best in the State of Florida. Shortly after Johns Hopkins took control of the department, they made several puzzling changes that correlated directly with an unprecedented number of deaths and other adverse incidents related to the department. Despite warnings being raised by staff concerning the quality of care in the department, management and executives seemingly ignored the problem until, after their most competent doctor left, the problems reached an apex from which it would never recover. Today, many of the major executives, including the CEO of Johns Hopkins, have resigned. There are allegations that the hospital failed to report deaths and other adverse medical incidents related to the pediatric heart program. Two of the department’s doctors have also resigned amid charges that they did not perform even routine surgeries competently. A number of medical malpractice and wrongful death lawsuits have ensued. This is merely the latest. Amid the backlash over the scandal are the inevitable cries of “what could we have done differently to avoid this?” The issue, of course, is that many of the children who were sent there for care did so under the belief that the hospital was a forerunner in pediatric heart care. Nothing could be further from the truth. Now patients are suing because they were misled to believe that the hospital provided top-quality care while posting the highest fatality rates of any department of its type in the region. Questions were also raised concerning the quality of oversight and review standards that the state uses to ensure that these sorts of problems don’t occur. Even board members for the hospital were misled concerning the deaths that occur on their watch. Yet nothing was ever done to fix the situation. The Palmer Law Firm, P.A. in Tampa represents injured patients in medical malpractice cases. We also represent grieving families who have lost loved ones to medical malpractice. Feel free to give us a call or talk to us online if you have any questions.